Another La Liga Striker linked with Chelsea - This time for £43.5m! Having seen plenty of players being linked with summer moves to Chelsea, Atletico Madrid striker Antoine Griezmann is the latest to be featured in a possible £43.5m deal. The figure being touted about is the release clause in his contract with Diego Simeone's side having initially signed for the current Spanish champions last summer. Without question Antoine Griezmann has had a fantastic season, having scored 22 goals so far but it's his work rate that catches the eye. Chelsea fans would have noticed Atletico's trip to their rivals Real Madrid in the Spanish Cup earlier in the season as he linked up twice with Fernando Torres to score two and knock Real out of the competition. As with any rumour we read, we have to wait and see what happens at Chelsea once the season finishes. We are reading reports that Didier Drogba wants to play on another season and the manager spoke yesterday of having time to sit and talk to the legend to find out what he wants to do so they can make a decision. Do we think he will play on here or should someone like Dominic Solanke who has proved himself in the Academy or Patrick Bamford who has won the Championship Player of the Year award and consistently proves himself wherever he is asked to play; should be given a chance instead? One thing I will say is that the manager made it clear that you need three good strikers at the club so that position will remain a priority especially after the problems we have had to face with Diego Costa's hamstring flaring up as it did a year ago in Madrid. I personally believe that Antoine Griezmann is someone who will continue to develop and would be an ideal signing for Chelsea. He could play up top as a striker or in one of the attacking three positions in behind. However, £43.5m is a ridiculous amount of money to pay if you do not intend on starting him more often than not. If we do pay the fee then he must start so someone misses out. I also believe he would be ahead of Loic Remy in the managers plans. 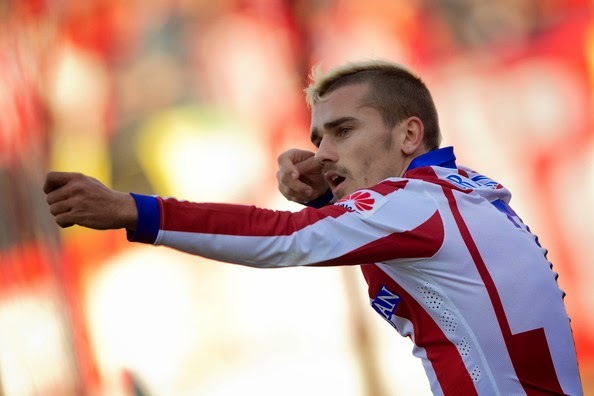 What do you think of the link to Antoine Griezmann? Would you pay £43.5m this summer to sign him or go with someone else?